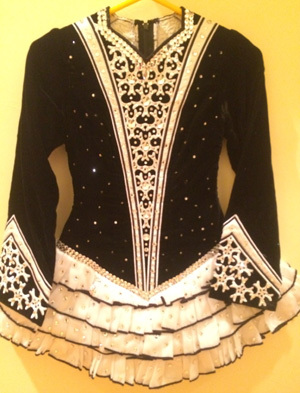 Beautiful, elegant, black and white Gavin Doherty dress with many Swarovski crystals. In good condition. Sparkly on stage. 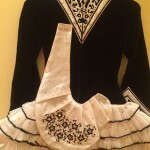 Includes bloomers and headband. 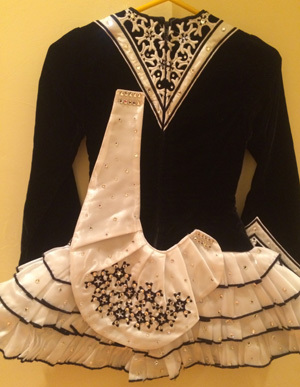 Let out room on each side of the bodice.